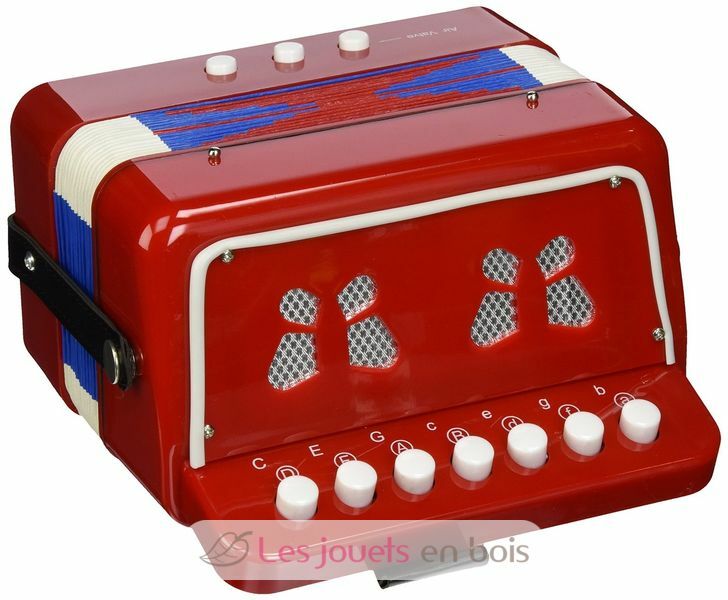 Real accordion bellows (10-key keyboard and 14 tons) a colorful musical instrument. 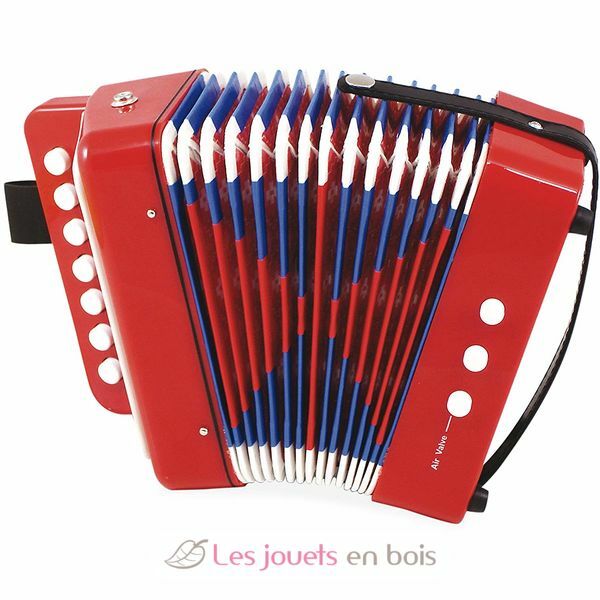 Making sounds with the accordion is just heaven for small and then for once they have the right to make noise ... You never know your child will be a great musician ... 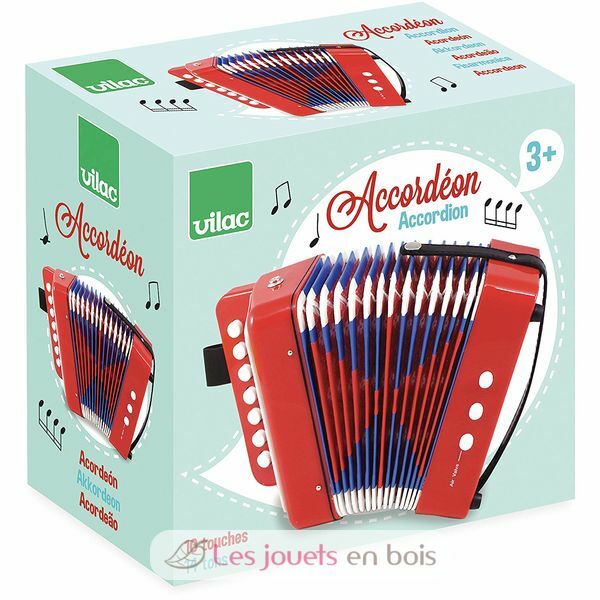 This accordion is a toy of VILAC brand. Ref. 8300.